With our simple booking process, you are covered. Choose your pickup and drop-off date. Choose a motorhome/RV rental in your budget that has all the features you need. We will then negotiate the best price on your behalf and come back to you with the best rates in the industry! By booking and hiring with us you are taking advantage of the RV, Camper and Motorhome rental "Best Price Guarantee". If you already have a quote from another rental supplier, send us and email with the quote and we will price beat it! We have been servicing the USA, Australia and New Zealand for over 8 years, and our sales staff speak 5 languages. We work with most companies globally and are totally unbiased with our recommendations. 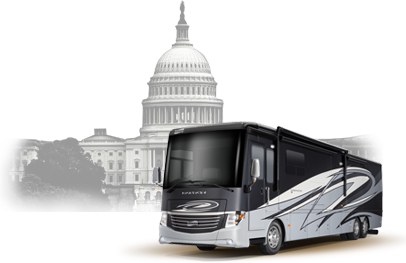 Our goal is to get you on the road with a USA RV rental in as little time as possible. In operation since 1998, when you choose to take advantage of the RVs and camper van rental services available from StarRV you aren’t going to have anything to worry about. Not only doing business in the United States, but also Australia and New Zealand, this company has established a reputation in the industry for having almost brand-new RVs available, providing full warranties and guarantees for every camper van rental taking advantage of, as well as a whole host of complementary services – including a free valet and parking for your actual “daily driver” vehicle while you are renting a camper van or RV – that makes it really, really easy to choose this company over most others in the industry. With one of the largest RV and campervan fleets available take advantage of the in the United States, you are guaranteed to find the perfect camper, motorhome or RV for your needs when you rent with Apollo. With nearly 20 years in the business, including the USA, Australia and NZ, Apollo offers some of the best prices on these kinds of services as well a whole host of ancillary services to make sure that your camping or road trip excursion is pulled off successfully. 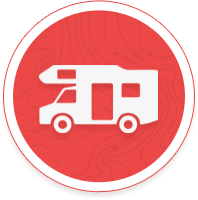 Drivers of every skill level and ability will be able to find the perfectly sized camper van or RV for their specific trip, with options ranging from between a “standard” camper van and a full-sized RV – as well as everything in between! Owned by Apollo, By renting your next RV or camper from Cheapa Campa, you will be able to take advantage of great prices, low mileage rates, 24/7 free roadside assistance, and access to a camper option with all of the modern technology and amenities that you are looking for today. Rental discounts are available for those that book at least six months in advance, with other special deals and offers for military members, police, firefighter, and EMS members, and senior discounts available as well. This is also one of the few camper and RV companies in the US to offer one way rental programs, giving you the opportunity to drive a camper or RV from one location in the US to another without having to return it to your original location when you’re done. Originally established back in 2001 in New Zealand (with just 35 vehicles at the start), today this company is one of the largest global camper and RV rental organizations on the planet. They have more than 2800 vehicles in their global fleet today and currently operate in New Zealand, Australia, and the United States. The prices available from Jucy are very competitive, because they rent with smaller style low top campers and constantly run specials. The Jucy’s website customization engine is top-notch, putting the customer in complete in total control over not just the camper that they choose but also the dates that they use the camper, the accessorises and add-ons like camping chairs, camping tables, GPS rentals and the price they end up paying at the end of the day. This camper and RV rental company was originally established in Australia a handful of years ago, but has quickly grown its operation to a much more global platform. Today, this company offers rental services in Australia, New Zealand, and seven major cities and metropolitan areas in the United States including Denver, Las Vegas, Los Angeles, New York, San Francisco and Orlando. All of the vans and RVs that they make available are at the most 12 months old, with all of them having incredibly low miles, regular maintenance performed for free, and 24 hour roadside assistance provided on every single rental that is taken advantage of. One way rentals are available from this company as well, a bit of a unique feature in the industry today. 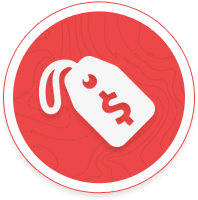 Prices are competitive and transparent, and when you use the online booking tools you’ll always be in control of your itinerary and the final cost of your camper van rental. Offering services in seven different cities and major metropolitan areas throughout the United States, this camper van rental company has the distinction of offering the newest fleet of vehicles available to take advantage of anywhere in the US. Not only is each and every one of the vehicles available from this company manufactured within the last 12 months (and first register either last year or this one), but this company also provides luxury features and amenities including generators, televisions, awnings, climate control systems, and so much more – all designed to make your rental experience as memorable for all the right reasons as humanly possible. Transparency is the name of the game when it comes to this camper and RV rental company. Not only do they promise to offer some of the best vehicles available to rent and drive throughout the United States, but they also offer complete detailed breakdowns of the vehicles that they provide, mechanical and maintenance information for all of the vehicles as well, and a whole host of different rental itinerary plans and packages – including unlimited mileage packages – all at very competitive prices. The vehicles that they offer may not be as brand-new as some of the other vehicles available from different companies in the United States, but all of them are well-maintained, low mileage, and certified to be safe and mechanically sound. Their customer service is certainly some of the best in the industry. 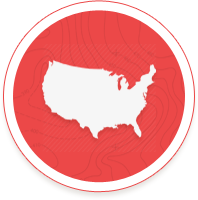 This company boasts having some of the most rental locations available in all of North America, with motorhome and RV rental services available in 123 different cities, towns, and locales across the United States, Canada, and even Mexico. Connecting you to the perfect camper or RV is the main mission of this company. They have a tremendous fleet of vehicles that they own themselves, but they can also connect you to vehicles from other vendors and other organizations as well. All of the vehicles that they provide as part of a rental package – whether they own them out right or not – are protected by their moneyback guarantee, mechanical promise, and 24/7 roadside assistance. If you are serious about doing business only with a company that you know you are going to be able to trust completely, a company that has more than 40 years of experience renting campers and RVs, and a company that is guaranteed to connect you to the perfect vehicle for the trip that you are planning on taking – no matter what that trip may include or entail – you need look no further than this operation. Originally started in Southern California back in the 1970s, today this company is represented by hundreds of independent and authorized partners, thousands of travel agents around the world, and has been taken advantage of by millions of people – many of them visiting the US for the first time – looking for the best RV and camper van experience in North America. Primarily providing camper solutions to customers that will be traveling along the West Coast of the United States, this company focuses mostly on compact camper solutions for those that aren’t looking for a full-blown RV/motorhome vehicle but instead something a bit more easy to drive, easy to handle, and easy to park. All of these compact vehicles, however, can comfortably sleep at least two adults and two children. They come complete with full camper amenities – including a compact kitchen – that you will be able to take advantage of during your trip all over the West Coast of America. This company has bases of operation – called “depots” with campers and RVs to rent in more than 50 different cities and metropolitan areas throughout the United States. Visitors to the US (as well as folks that grew up here) are going to have the opportunity to rent vehicles from this company without any headache or hassle, especially since many of the depots are located near major airports across the country. Campers are available in sizes as small as a van up to major motorhome options, allowing you to travel with anywhere between two adults and two children and nearly a dozen adults or children, depending upon what you’re looking for and what your budget allows. Another camper rental service based out of California, this particular operation is unique in that it is a relatively small time operation run by a family that got excited about renting campers themselves – so much so that they got into the swing of things and started their own business to help other people enjoy travel the way that they got too! More than 30 different vehicles are available to rent from this company, though if you do decide to go in this direction you will have to stay within the California area – though traveling a bit east is usually something that you will be able to work out with the owner of this company without having to pay skyhigh “bonus” mileage charges. This particular company not only offers rental services to anyone visiting the US or anyone living in the United States, but also allows renters to actually purchase the vehicles that they try out during a rental session – and a lot of folks that have set out with the intention of only renting these kinds of vehicles end up purchasing them shortly after the conclusion of their trip. Prices for rentals and prices for sale are very reasonable. You won’t ever have to worry about breaking your bank account along the way, and at the end of the day you will be able to choose the kind of vehicle that you want to rent, the kind that suits your budget, and pay for a specific mileage allotment that allows you to explore to your hearts content without running over your travel budget along the way. This company, based out of California, operates exclusively in California but also offer some of the very best equipped and most luxurious campers available to be rented in the United States. Each and every single one of the vehicles that Expedition Motorhomes makes available are outfitted with luxury finishes, including memory foam mattresses, foldout sleeper beds and couches, luxury kitchen appliances, and even satellite TV and Wi-Fi included in every single vehicle that this company provides. You will be limited to California (or just beyond her borders, depending upon the mileage package that you purchase), but there may not be a better way to drive up and down this nearly 800 mile long state and take in everything that California has to offer. This company is really, really interesting in that they have totally embraced the “Van life” and everything that modern nomad culture brings to the table. Only providing two different kinds of vehicle platforms available to rent – a 2016/17 Dodge Caravan and a 2016/17 Dodge RAM Pro Master (both of which have been completely converted into camper Van from top to bottom) – you really can’t go wrong with these kinds of “stealth campers” if you’re looking to visit urban areas as well as more remote areas along your travels. Relatively inexpensive, these vans are going to give you a unique way to see the US in a way that very few other people ever get the opportunity to. Alaska is unlike any other destination in the United States – or anywhere else in the world, for that matter – and there may not be a more unique and exciting way to travel Alaska the invite renting a motorhome or RV and just letting the roads take you where they lead. Wacky, wild, and – surprise, surprise – wicked, each and every one of the “stealth campers” provided by this company are designed to be a backpacker’s dream and a real minimalist way to do camping all over the United States. Built on traditional minivan and utility Van platform, you don’t have to worry about driving around a gigantic motorhome or RV when you choose to take advantage of these rental services instead, you’ll be able to cruise around the United States and a uniquely painted up Van with all of the amenities that you are looking for. Don’t expect an RV with all the bells and whistles, expect something that will get you from a to b, and very economical on fuel. What do you do from here? Simply put your dates into the form at the top of this page to get the best price on camper rental in the USA.